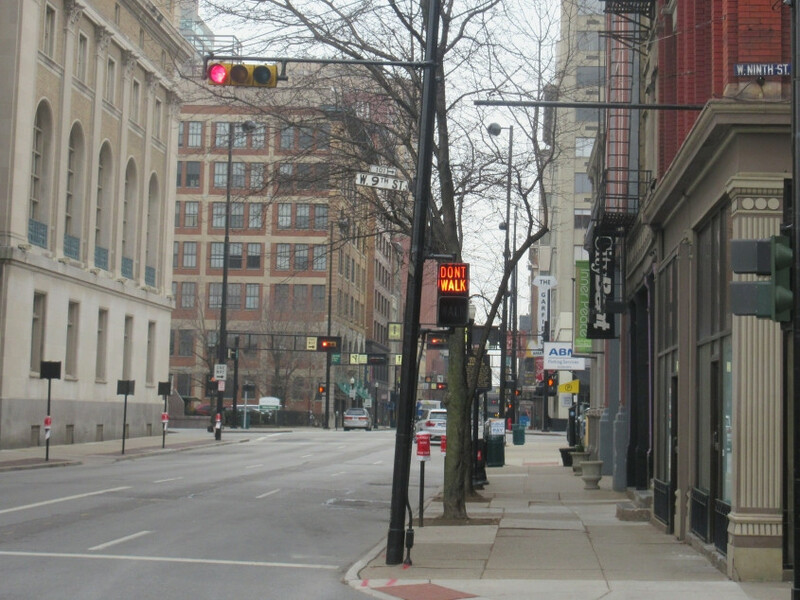 The Peace Bike managed to make it to Price Hill on this subfreezing day. Mile per mile, this was a blah Scholaring, but it is what it is and that's all it 'tis. I may have gotten this before, and if so, tough toilets. This is south on Race at 9th downtown. The 1950s-era white sign blade for 9th was still kicking in 2015! More strikingly, at upper right you can see the much older purple sign blade on the building. East on OH 264. 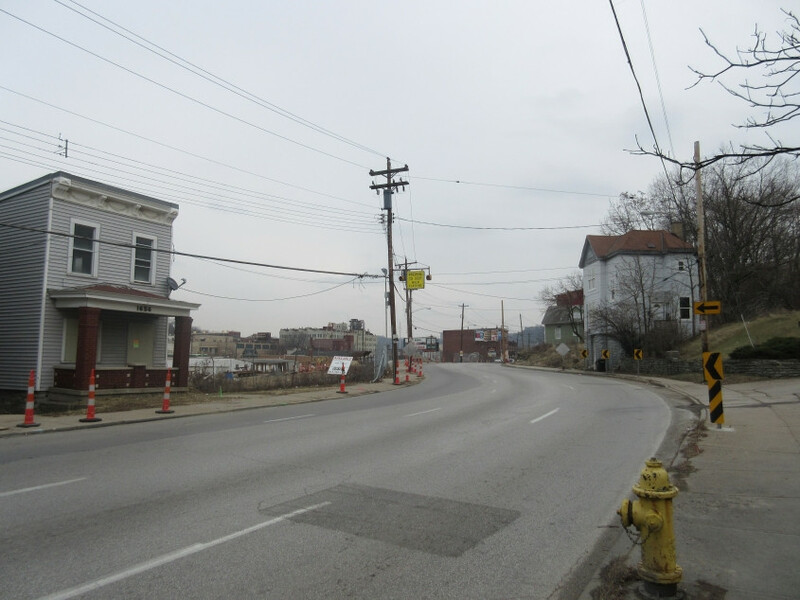 At this curve, Glenway Avenue becomes 8th. It's old! It's here! But it ain't beer! 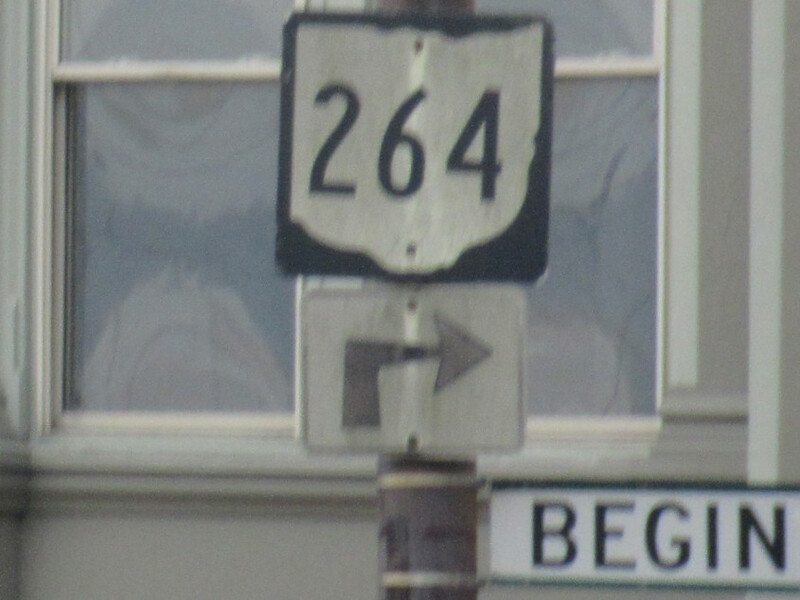 Zooming in on the previous scene, I detected this venerable OH 264 signage. You know it's old because it didn't use the wide 3-digit shield and had a tapered arrow. A Peace Bike visit to Price Hill means dragging the hulking velocipede up hundreds of feet vertically in only a few blocks horizontally. It's grueling, so I don't do it much. 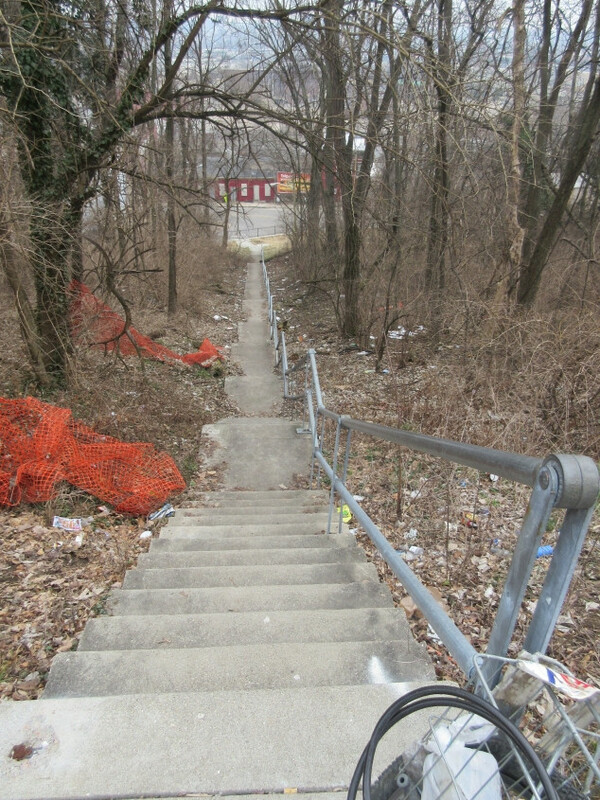 Here we're looking back down the Peerless Street steps from Warsaw Avenue to Glenway. Peerless is just this staircase. I don't know whether they seriously tried to build a road here. 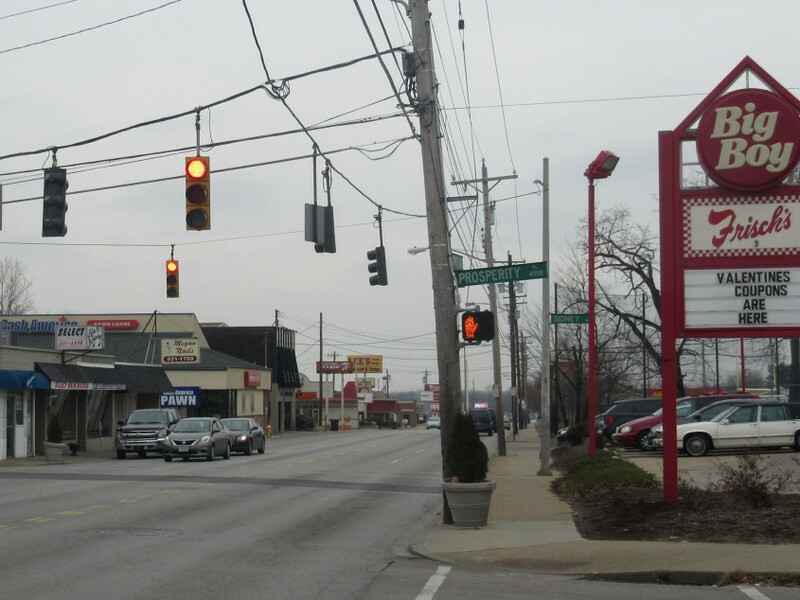 Northeast on Ross Avenue from Warsaw. 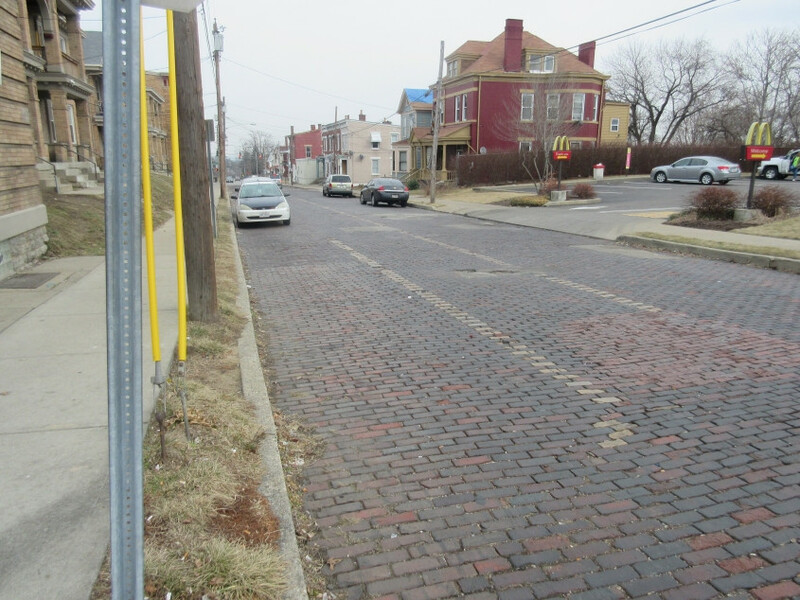 This is an increasingly uncommon brick street. Glenway Avenue is still OH 264 here. If you don't immediately see a couple points of irony in this photo, then you don't know local humor. I biked downhill on Queen City Avenue - which isn't the best road for cycling, even downhill - and this is after it splits off this one-way eastbound counterpart known as Westwood Avenue. 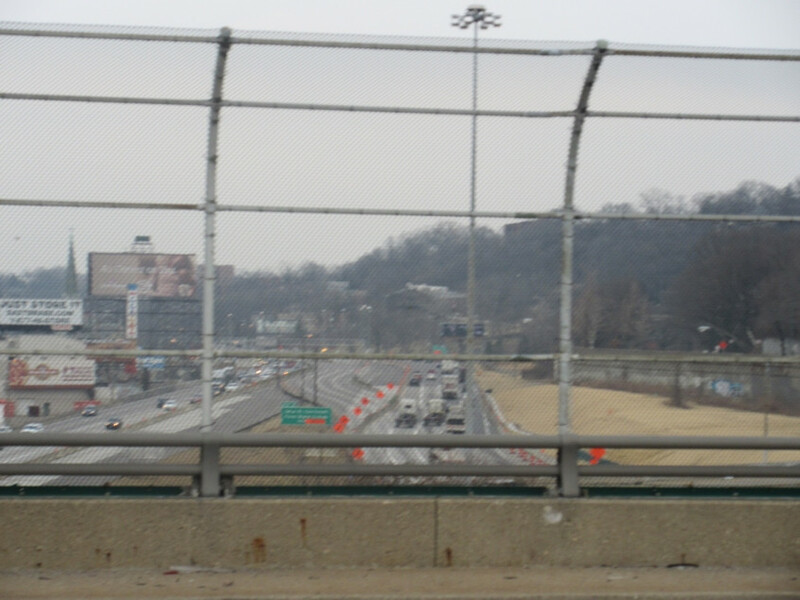 From the upper deck of the Western Hills Viaduct, this is looking down Mill Creek. 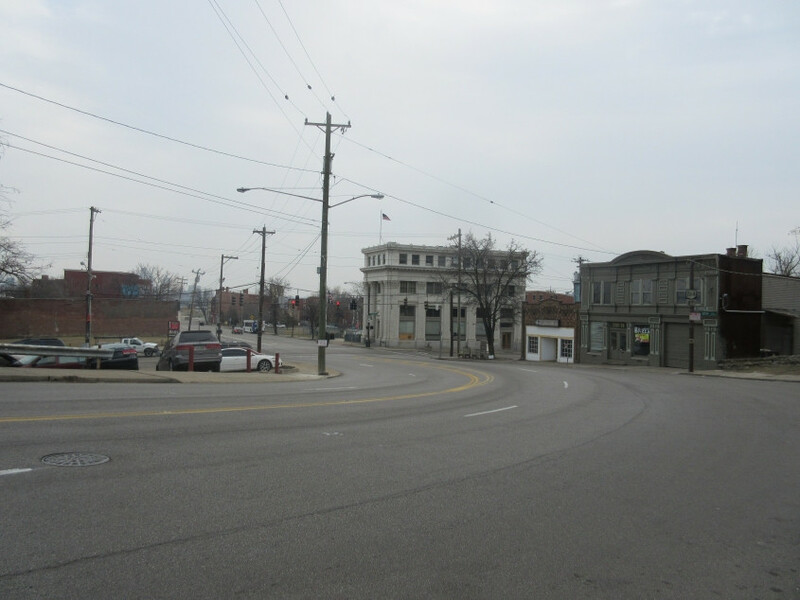 The road on the right is State Avenue (the onetime OH 4W). 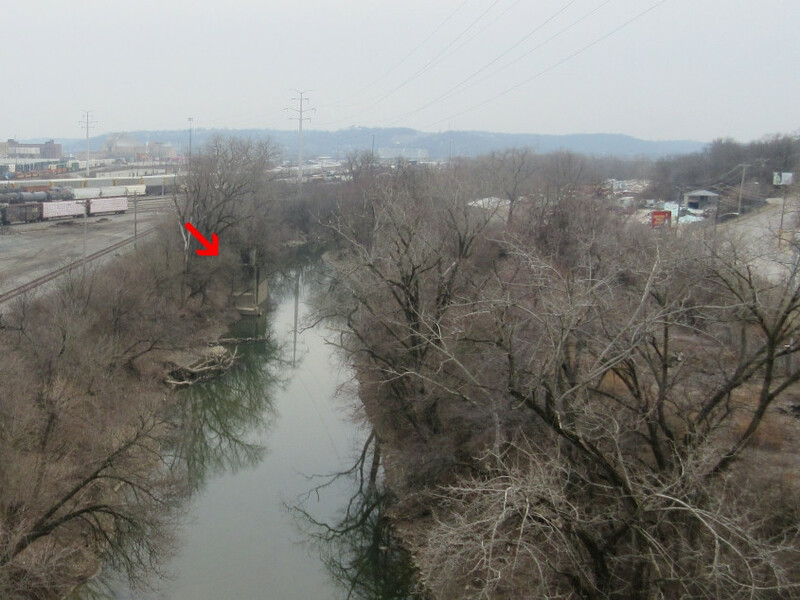 I've added an arrow to point out the remains of what is likely either the Harrison Avenue Viaduct or the Harrison Avenue bridge that ran just to its north and existed at the same time. The Harrison Avenue Viaduct closed in 1932 with the opening of the Western Hills Viaduct, and the other Harrison Avenue bridge probably went away with it. 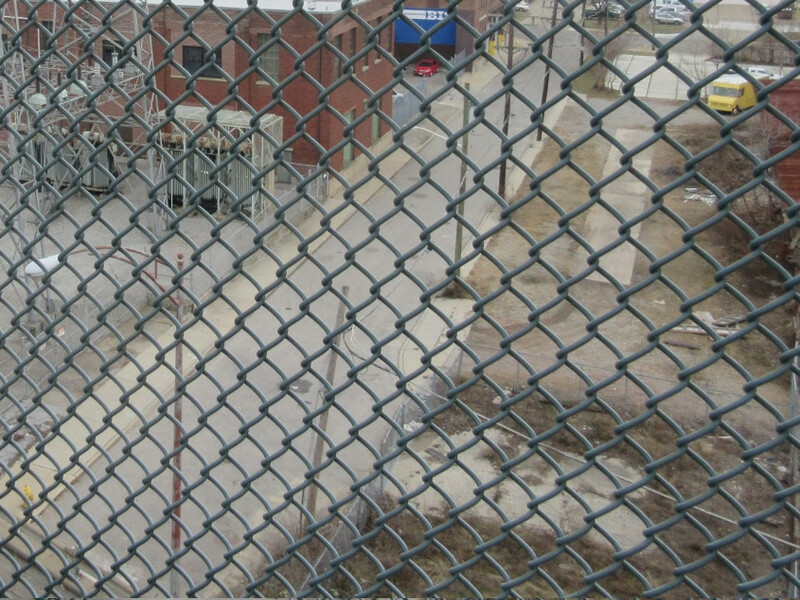 A view of Buck Street from the Western Hills Viaduct. You can see it ending at Harrison Avenue (which I'm pretty sure is the pre-1932 alignment of US 52). Buck Street is split by the viaduct but used to run straight through. Looking north from the viaduct at a construction-plagued I-75.